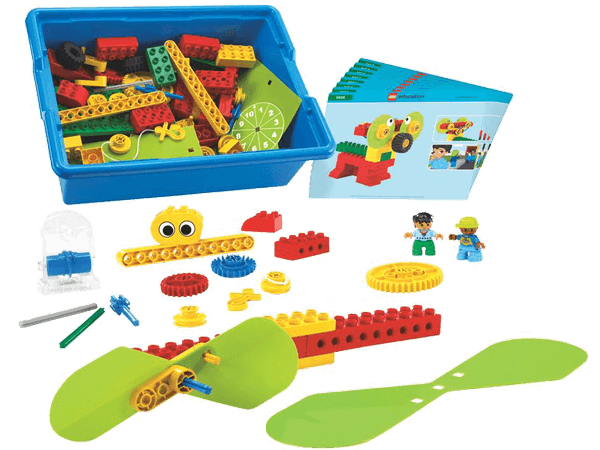 The Early Machines Set is ideal for introducing youngsters to mechanical principles such as gears, levers, pulleys, wheels and axles, as well as investigating energy, buoyancy and balance. The set includes inspirational inbox cards for building eight different models such as the Measuring Car and the Spinning Top. Exclusive for this set is a plastic punch-out sheet with eyes, sails, scales and wings.